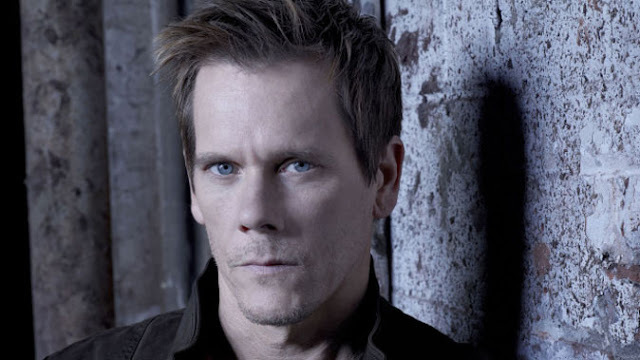 One of the most recognizable actors to come out of the Friday The 13th film franchise is Kevin Bacon. His turn as Jack in Friday The 13th 1980 was an honest portrayal of a young man with a girlfriend going to help open a camp before the season started. Many fans want to see him acknowledge the franchise that helped gain him recognition before catapulting to super stardom, but it looks as though he has politely declined to be apart of the news Crystal Lake Memories Documentary coming out this Spring. That's alright, though, because every so often Kevin will mention Friday The 13th either while on talk shows like The Tonight Show or during press junkets for other projects. Recently, he was being interviewed at Vulture in regards to his new show The Following, which premieres on Fox tonight from Scream creator Kevin Williamson, and was asked about the violence of his new show. Read his answer below. Some of the violent imagery in the show is pretty disturbing. Do you think the show is too violent? I don’t think it’s too violent for everybody. Here’s the thing: I’ve done a lot of different kinds of movies, played a lot of different kinds of parts. I was in the very first Friday the 13th. I’ve been in silly movies and romantic movies and historic movies. My focus is to play the part with as much honesty and integrity as I can and to explore what I want to explore as an actor. When I go home, I try to raise my children with honesty and integrity and teach them to take care of the world and of each other. I try to show compassion to people I come into contact with and try to put good out, as much good as I can. But that’s my life, that’s not my work. With my work, my job is to walk in another man’s shoes. Not sure if Kevin was just saying that because he was in Friday The 13th, projects of this nature are not as bad as everyone thinks or if he is simply stating he's been in this situation and genre before. At any rate, check out the whole interview at Vulture to read more about his show.